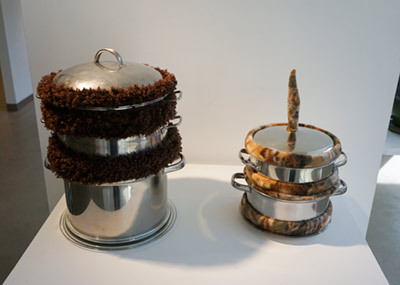 Worm Cozies allow you to keep composting worms hidden in your home or workplace. No one suspects a plant stand, a teddy bear or paper shredder to contain an active worm colony. Here are my instructions on how to make the plant stand Worm Cozy out of a 5-gallon bucket. We at WormCulture are honored that the Portland Oregon designer Joe Wirtheim created a propaganda poster for worms. It is a new addition to his long-running series called The Victory Garden of Tomorrow. It includes several space age chickens, plants and people and you can see the whole series on his website. We are told that this new poster, Worms will do the Work will eventually be available for purchase there.